Shawnee Community College, 8364 Shawnee College Rd, Ullin, Il. 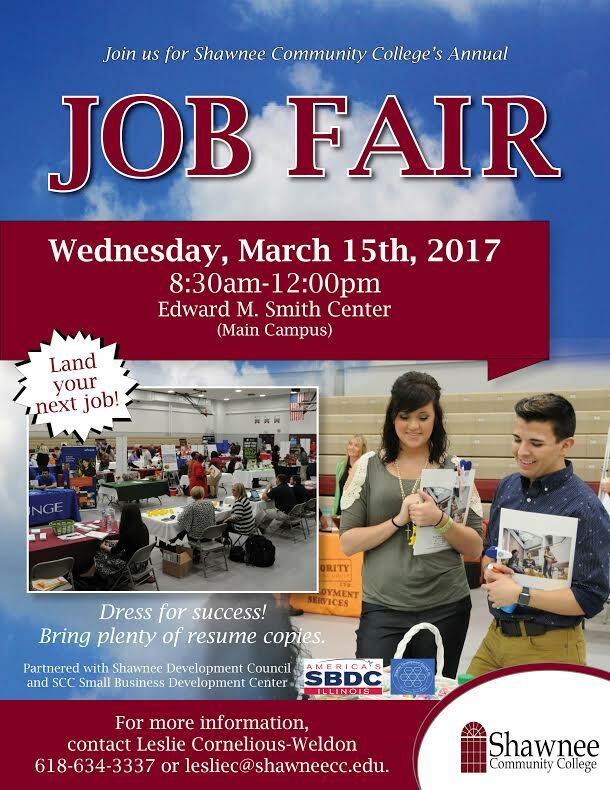 The job fair will take place in the Edward M. Smith Center, located on the main campus. The event is open to the public. Dress for success and bring your resume to give to potential employers. The SCC Career Services Center provides free career planning and job search assistance. For information, contact Leslie Cornelious-Weldon at 618-634-3337 or lesliec@shawneecc.edu. This entry was posted in All the Buzz - Bee Informed, Bee Smart on March 14, 2017 by massacbeeswax.